Kinner Kailash and many more destinations are in the district which are easily reachable. These are all most beautiful place of not only India but World. Spiti valley is associated with Spiti river flowing from west to east into Satluj river. The majestic and calm river is the beauty of the valley. Spiti valley is termed as the cold desert of Himachal as the rain falls minimum here. This dry valley is nurtured by glacier fed water and by the river itself. The high rocky snow covered mountains and plain vegetated valley speaks about beauty itself. The valley is been called as the adventurists and the trekkers paradise. Dhankar and many are destinations are worth to visit. Pick up from Chandigarh by our cab proceed to Shimla/Kufri/Narkanda. The destination for night stay is given as per the choice of the tourists. On the way we suggests the visitors to have stopover at Barog,Solan and Shimla. After breakfast in the morning proceed to Sarahan. Another beautiful mid destination of Kinnaur Spiti tour package. The place is very much known for Bheemakali mata temple and of course for its beauty surrounded. On the way can stop at Narkanda, Hatu peak, Nirath,Rampur,Jakhari. In the morning after breakfast proceed to Sangla, the valley beautiful. The valley growning world famous because of its beauty. On the river side of Baspa some world standard tourist destination are there like Chhitkul, Rakshham and Batseri. In the morning proceed to Kalpa the old popular hill station in front of Holy Kinner Kailash. The rich forestry and orchids combination makes Kalpa a best destination for heath perspectives. Nearby Recongpeo market is with all modern facilities. In the morning it is time to have some more adventurous ride. The way we proceed to Nako we can have the BRO road which passes through huge rocks and mountains. This road just speeds up heart beats and thrills the body. On the way Nako is world popular destination famous for its Lake. Proceed to Kaza for Night stay via Tabo. 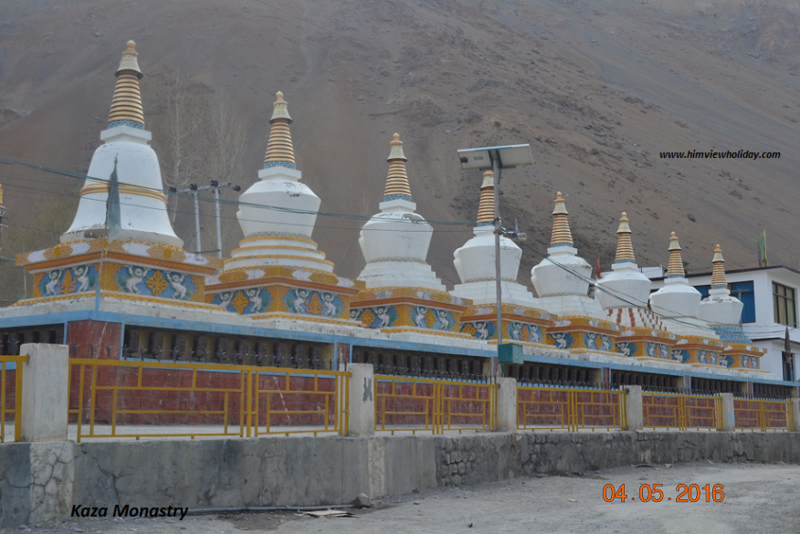 In the morning after breakfast visit Kaza monastry. You will see Kaza as a different world in the middle of HImalayas. Proceed to Kie Monastry and Kibber village. Also visit Dhankar and in the evening dinner and night stay at hotel at Kaza. In the morning after breakfast proceed back to Kalpa. Stopover at any picturesque locations as there are many of them on the way. Night stay at Kalpa. In the morning proceed to Shimla early and have some purchase or walk on the mall road Shimla. Dinner and night stay at hotel at Shimla. In the morning after breakfast proceed to Chandigarh for further flight of train with best memories in mind.